The U.S. Mexico Canada Agreement, last year’s trade pact meant to replace NAFTA and resulting from months of difficult negotiations among the three countries, has yet to be ratified by Congress or the legislative bodies of the other countries. Tony Garza, counsel with White & Case in Mexico City and former U.S. ambassador to Mexico, predicted the ratification phase will be even more challenging than the negotiation phase, tough as it was. In the United States, the government shutdown knocked USMCA off the national agenda and delayed the next step: publication of a congressional report assessing the trade agreement, he said. “Since the U.S. Congress won’t move forward without the report’s publication, the delays are only pushing back the entire ratification timetable,” Garza wrote in a recent analysis. Ratification requires approval by both chambers of Congress. “While the agreement will face strong debate in both legislative spaces, it will undoubtedly hit more challenges in the Democrat-controlled House of Representatives,” Garza said. 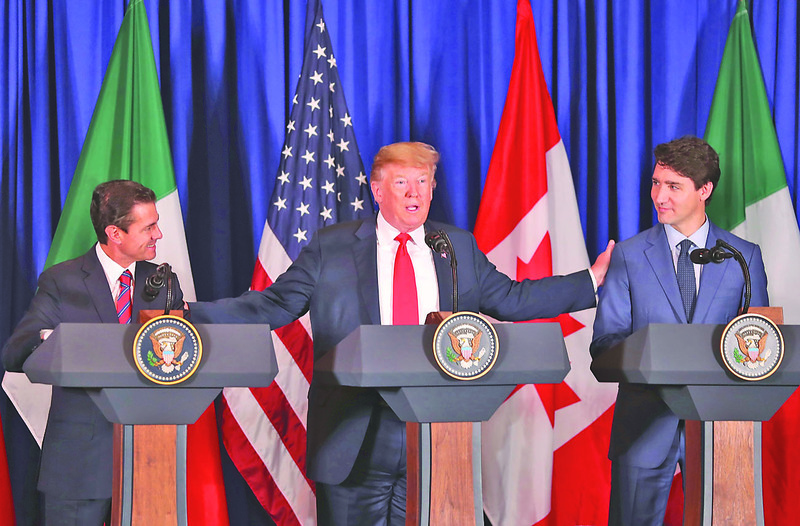 USMCA is similar in many ways to the North American Free Trade Agreement but also contains important differences, many of them impacting the North American automotive industry, he said. Under NAFTA, to qualify for tariff exemptions carmakers have to prove that 62.5 percent of their products’ parts were manufactured in Canada, Mexico or the United States. USMCA raises it to 75 percent. Also under USMCA, 40 percent of vehicle parts must be made by workers earning at least $16 by 2023, Garza said. In addition, USMCA increases intellectual property rights and U.S. access to Canada’s dairy markets, and includes a 16-year “sunset clause” that terminates the trade agreement if it’s not revisited, he said. Meanwhile, the Trump administration may further complicate ratification if it follows through on a Dec. 1 pledge to soon start a six-month withdrawal from NAFTA, which is still in force, Garza said. If Congress were to reject USMCA or fail to come up with sufficient votes before the end of six months, “tariffs would hit U.S. goods right in the lead up to the 2020 presidential election,” Garza said. Meanwhile, lawmakers in Mexico and Canada are navigating their own legislative processes and challenges, he said. As for the effect on Brownsville and the Rio Grande Valley, Port of Brownsville Director and CEO Eduardo Campirano noted that 2018 was a strong year for the port in terms of steel cargo (with the port handling roughly 3 million metric tons of steel, most of which goes to automotive and appliance plants in Mexico), and that port officials doubt USMCA, if ratified, will negatively impact the port’s steel business. Still, there could be trouble if the transition from NAFTA to USMCA hits a snag, Garza warned.